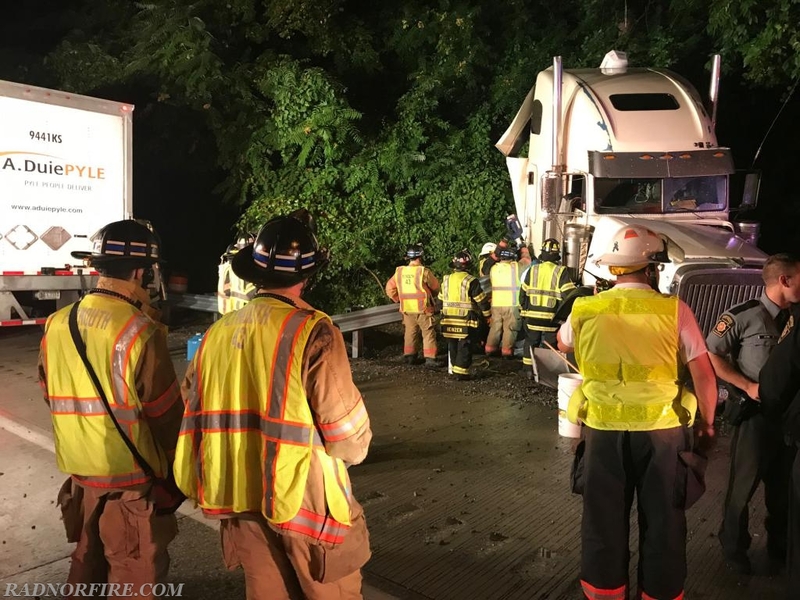 Radnor Fire Company was dispatched at 1:36 a.m. Saturday morning for reports of an accident with injury on I476 northbound just past I76 in the area of Conshohocken. 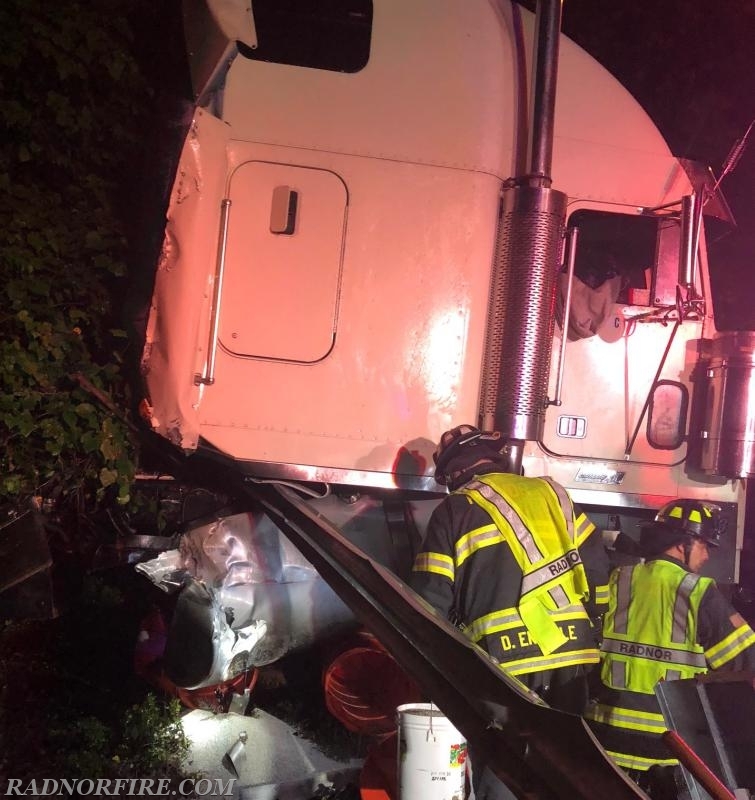 Ambulance 15-7 arrived on scene and reported diesel fuel leaking from the saddle tank of a jackknifed tractor-trailer on the right shoulder. 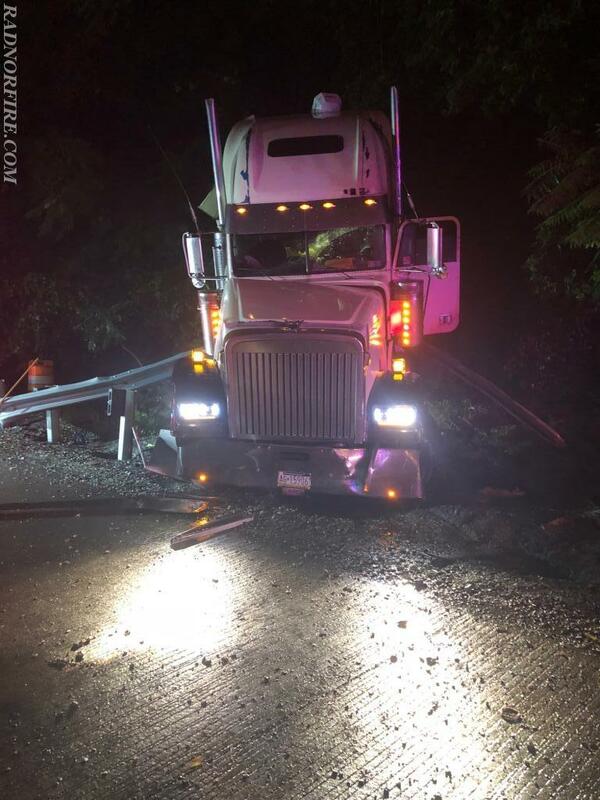 The truck's driver had self-extracted and appeared uninjured. 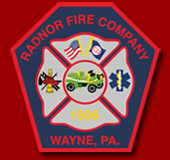 Rescue 15 and Engine 15 crews arrived shortly after along with fire crews from Washington Fire Company and Plymouth Fire Company. 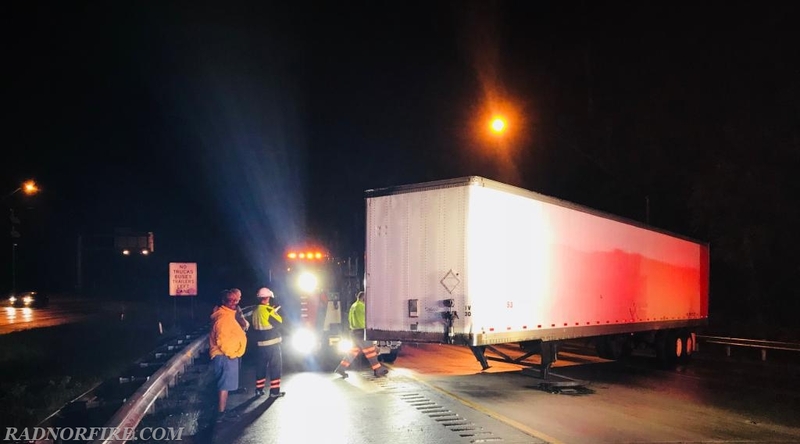 The semi-trailer appeared to have separated from the truck's cab which was sitting on top of the guard rail that had ruptured the truck's passenger-side saddle tank. 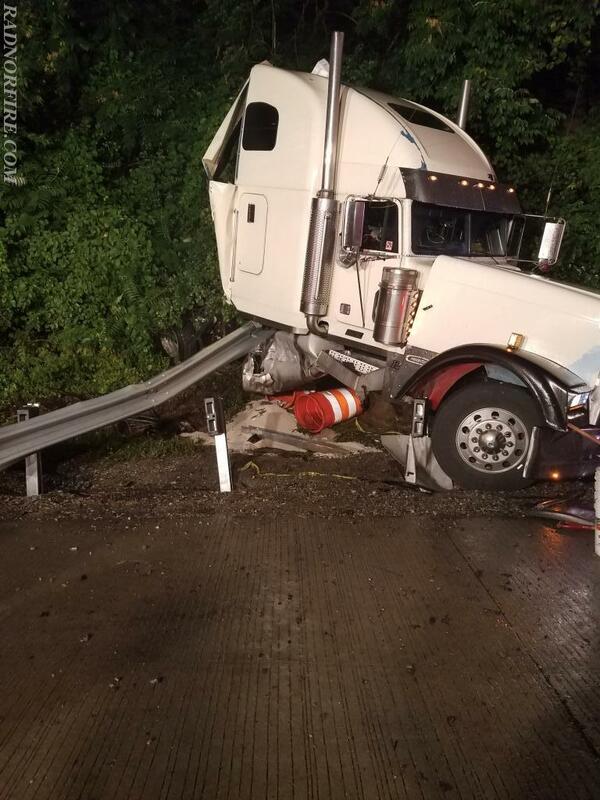 Diesel fuel was leaking onto the ground below the cab. 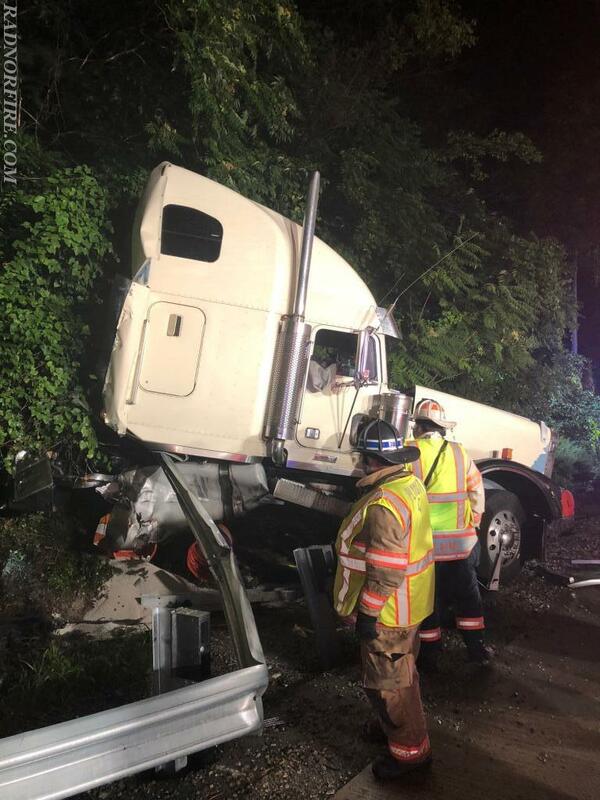 The truck's trailer was upright on I476 approximately 100 yards ahead of the cab. 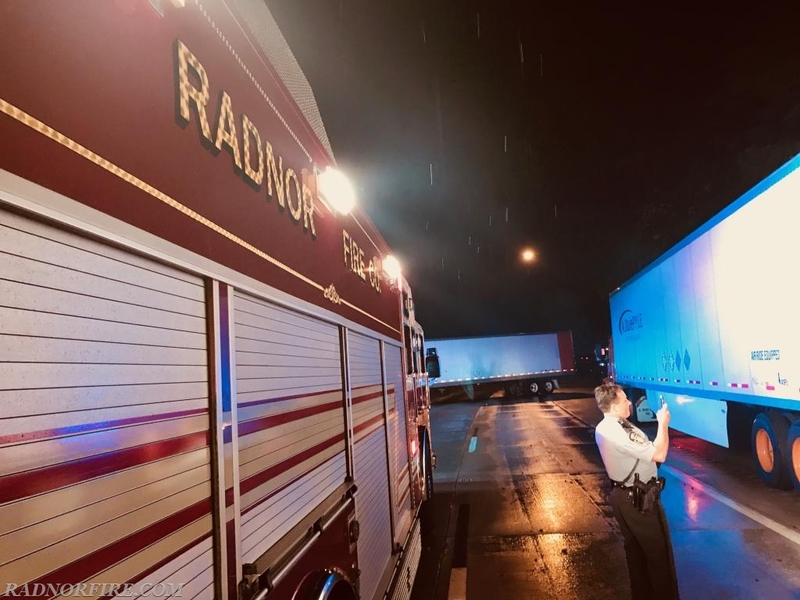 Radnor Fire crews worked quickly to disconnect the truck's batteries and contain the leaking diesel fuel. 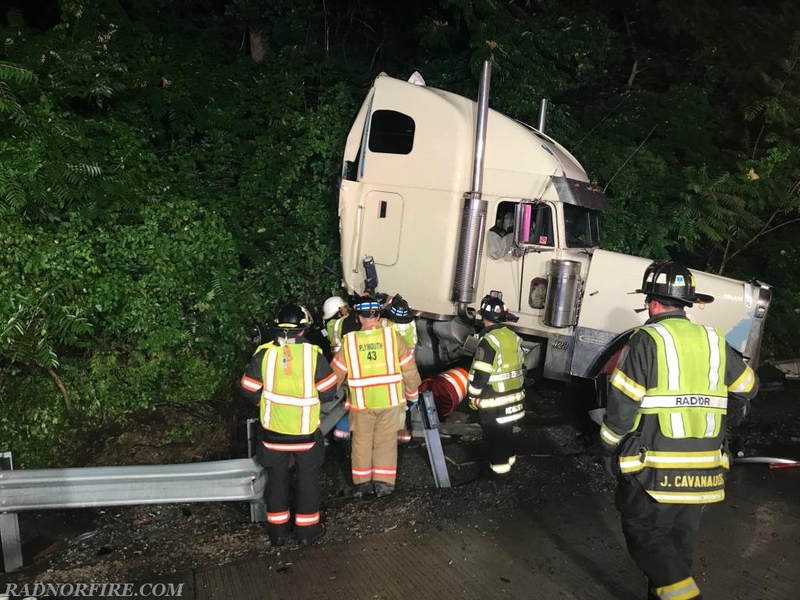 Fire crews then used hydraulic tools to free the cab from the guard rail so it could be towed from the scene. 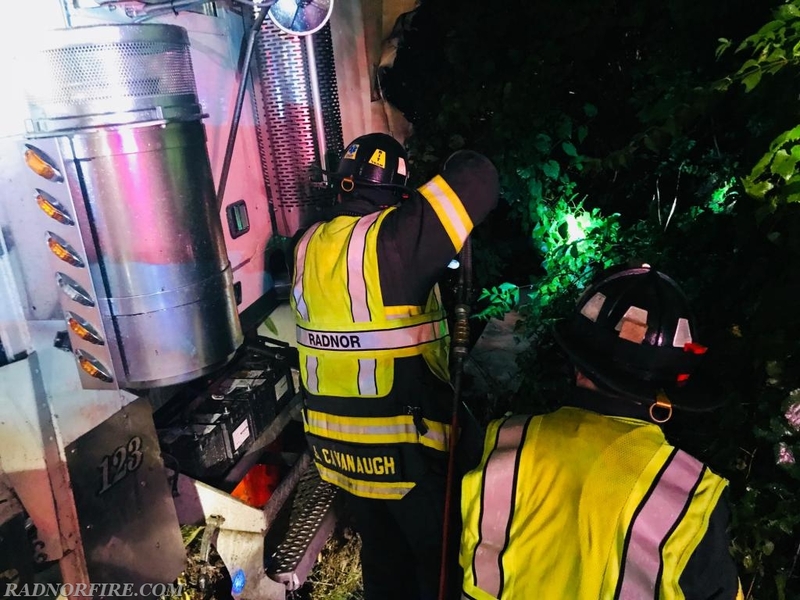 Fire companies cleared the scene and were made available shortly after 3 a.m.